*This review is based on advance reading ecopy. There might be some changes with the finished copies. Just like in The Glass Arrow (Kristen Simmons), I judged the title of this book literally. I thought it's about a girl able to spin a story. Like, she can put on a plot twist in stories (like in 2008 film, Bedtime Stories), which is really cool so it looks more appealing for me. Although I was wrong--yet again--about this assumption, this book doesn't disappoint. It was still something I end up liking very much. 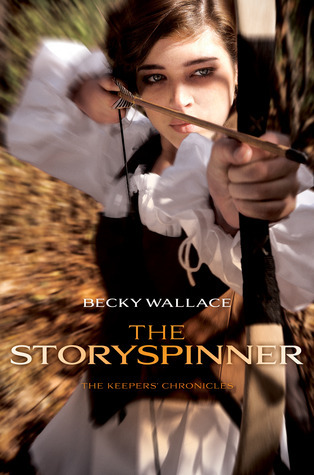 The Storyspinner was told in third perspective, but each chapter focused on different characters. Overall, there are seven characters highlighted throughout the course of the book, but the main character was Johanna Von Arlo, a Performer (singer and storyteller). I like her strength and fighter attitude and her love for her siblings, especially the little ones. And since there are so many characters and perspectives, I've only known little about them except their traits and purposes. There's so much going on as the story/focus switches from here to there, but it remained interesting and very promising. And there's also not one, but two (and I guess another one potential for the second book) love stories in it! Both aren't mushy kind, only love-hate, and it that makes them cute and in the end, adorable. The world building wasn't clear to me at first but when I got to know more about their kingdoms and differences, I must say I'm impressed, and so on the plot. It was well-thought and really a good read. There are mysteries and twists but because of the multiple perspectives, I did not spent thinking and guessing about it. The bad side was I wasn't able to feel the thrill of guessing and shock that I was supposed to get. The good was, despite the little thrill, the story managed to flow excitingly. 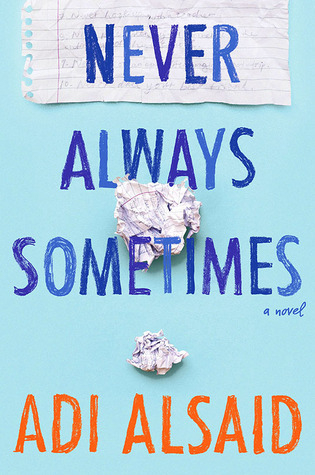 I cannot imagine this book focused only in one character (because if I think about it, this book would feel like there's hole in it and it will sound a little cliche) so I wouldn't want to change the multiple perspective. The ending was more like a cliffhanger in a non-cliffhanger way. The kind that you'll beg for the second book because you cannot let it end there, yet it gave a beautiful ending? Yes, that's it. I am very satisfied on reading this book. I think this is the sixth book I've read in a row with originality and freshness in it. Those six books weren't all five-star rating, but they all stood out and I love it. I love that we're still having new stuff to feature regardless of the numerous books being published. The Storyspinner is one of the books that you don't want to miss. The book you should search for and read from the sea of books out there. And to think this is a debut? Brilliant. This book is one of my most anticipated books this year and I am so glad it didn't disappoint. *Thanks to Simon and Schuster for the review ecopy in exchange of an honest review! This one really does look great. I'm glad that the world building ended up impressing you. I have yet to read this book, but I think your review just convinced me to read it soon! Sounds like an interesting book! I have this book sitting on my shelf, and I CANNOT wait to read it. It is 3rd back, and I am so very excited. I literally have nothing that I can even say other than I am so EXCITED!